065..KISS Local Crew t.shirt WORLD TOUR 2010 BLACK XL. Men's 'Van Heusen' Light Blue Denim Jeans. Size: W 32. L34. 100% Cotton. 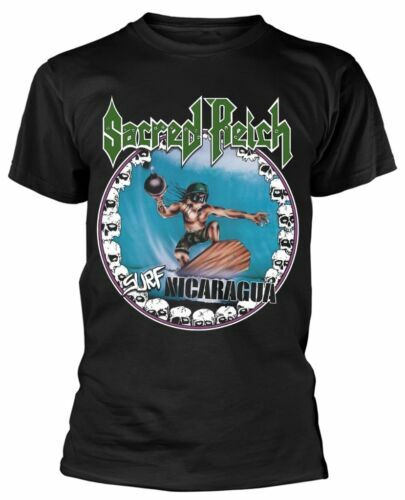 Sacred Reich 'Surf Nicaragua' T-Shirt - NEW & OFFICIAL! Men's 'Van Heusen' Dark Blue Denim Jeans. Size: W 32. L34. 100% Cotton.